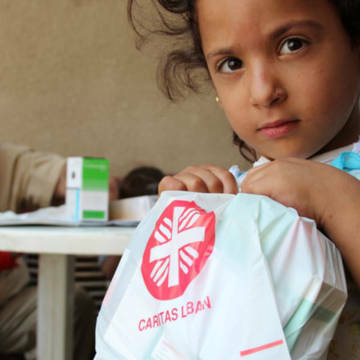 CAFOD's local partners in Syria, Lebanon, Jordan, Turkey and Iraq are responding to the Syria Crisis. As Syria’s civil war enters its eighth year, it has become the worst humanitarian crisis of our time. According to the UN the conflict has killed over 400,000 people and caused large-scale displacement, estimating that 6.1 million Syrians have been made homeless inside the country. More than half the country’s pre-war population, 13.1 million people, are in need of urgent humanitarian aid – food, water, shelter and protection. Over 5 million Syrians have registered as refugees in neighbouring countries. What are the needs for Syrian people? Millions of people desperately need aid right now. We need to provide food, shelter and safety for people driven from their homes, as well as blankets, warm clothes and other essentials. Children are often traumatised after seeing their parents killed or homes destroyed in front of them. They urgently need peace and the opportunity to go home and rebuild their lives. Please give today to help us reach the most vulnerable people. What is CAFOD doing to help people affected by the Syrian war? 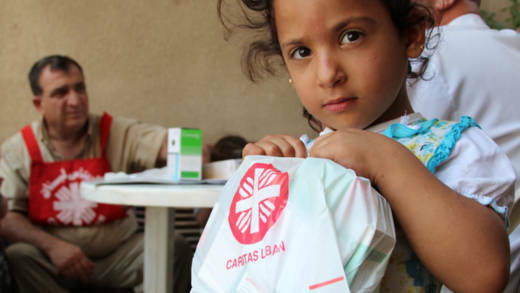 Thanks to the compassion and generosity of Catholics across England and Wales, our partners are providing vital emergency aid – food, shelter and medical care – to vulnerable families both inside Syria and in neighbouring countries. The war has left millions of people in urgent need. Help provide emergency supplies and long-term support.